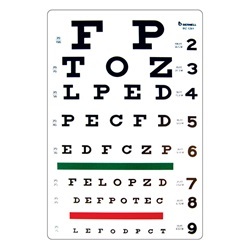 Snellen Eye Chart - 20 Feet, 9" x 14"
20 foot Snellen single-sided acuity chart that ranges from 20/100 to 20/15. 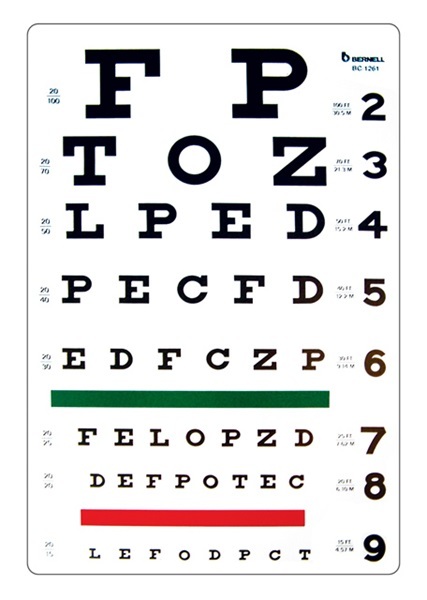 Has letters with Red and Green lines to define 20/30 and 20/20 vision. Measures 9" x 14". Manufactured by Bernell. Comes as singles.